This article appeared in the May-June 2010 issue of Texoma Living! Magazine. John Lamb traded a degree in political science for credentials from the New York School of Dog Grooming and he hasn’t looked back. 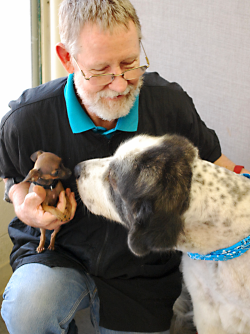 From the Affenpinscher to the Mastiff and the Yorkshire Terrier, John Lamb is the dog’s dog groomer. With combs and clippers, he has provided many a canine the look that makes them happy to strut their stuff. When he graduated from Austin College with a degree in political science, Lamb thought he was on the path to law school, but first—there were any number of things that got in the way of Lamb and the law, and eleven years later, after working in several retail businesses, he decided to follow his heart. “I always loved dogs,” he said, so it was off to the Big Apple and the New York School of Dog Grooming. It was dogs and nothing but dogs from eight in the morning until ten at night, with just enough time off for a bite to eat. Big Dog Little Dog may be familiar from the well-known children’s book by P. D. Eastman, but that’s not where Lamb got the name. “It’s after my two dogs,” he said. “Liku was a chow-chow and JT Slick was a small rat terrier.” Liku and JT Slick are remembered with a portrait that hangs in the studio. 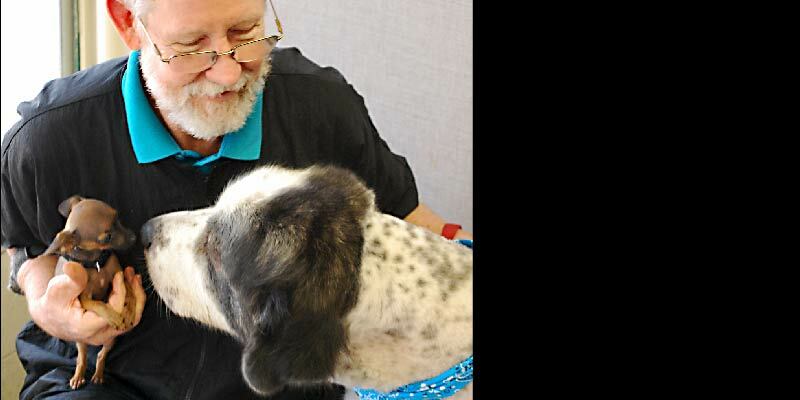 If Spot does get in, he can expect an experience that is, well, “logical.” Roughing in is the combing and cutting that takes place before bathing—“It’s silly to bath all that hair, then cut it off,” said Lamb—and everybody gets a bath. Each breed is bathed and groomed differently. All dogs have cards that contain their grooming information and any special needs. The length of time it takes depends on the breed and on what they’re having done. “Rough coats are the best to work with–a terrier, a poodle or a bichon frise,” said Lamb. “The soft coats are fly-away and need a lot more attention and work; the Maltese has the softest coat. Gina Vicars’ consignment shop has been marking down high priced-items for 18 years. All garments are brand name and are newer rather than older. If it’s out of style, it’s out of here.